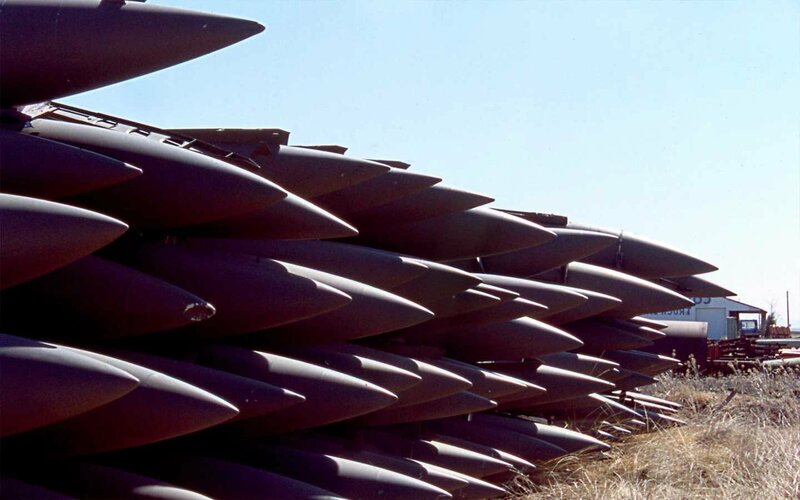 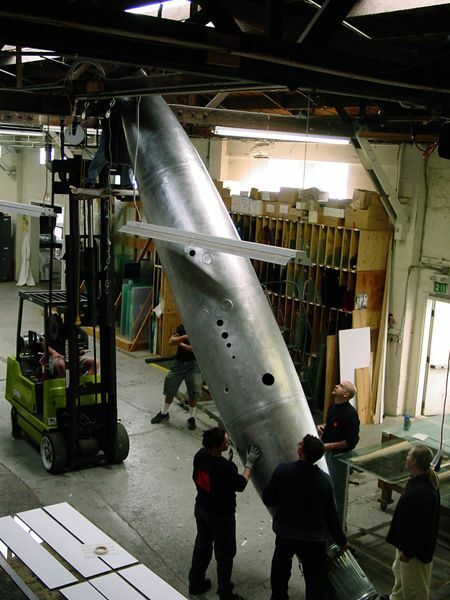 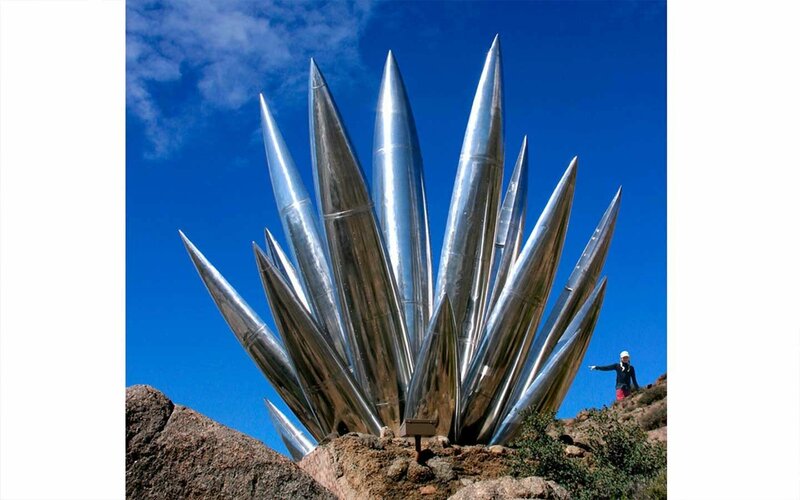 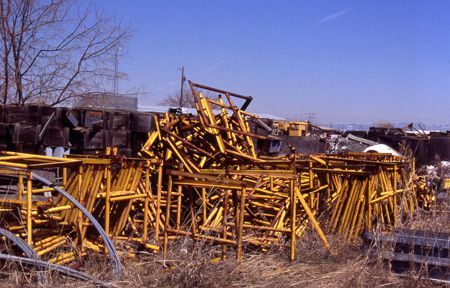 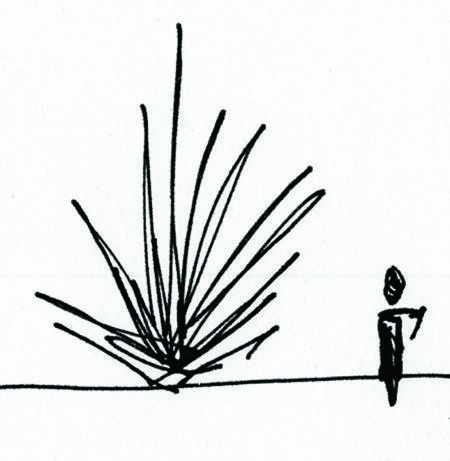 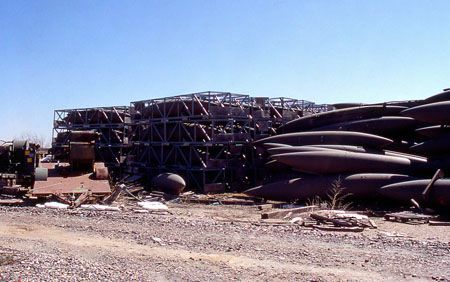 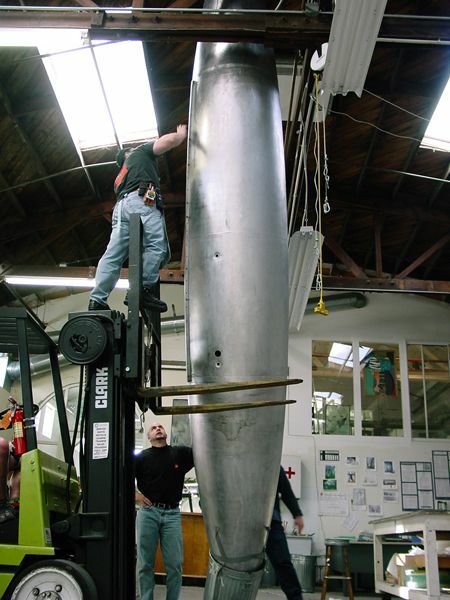 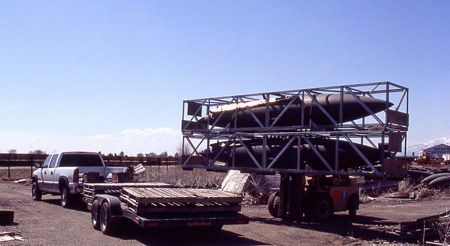 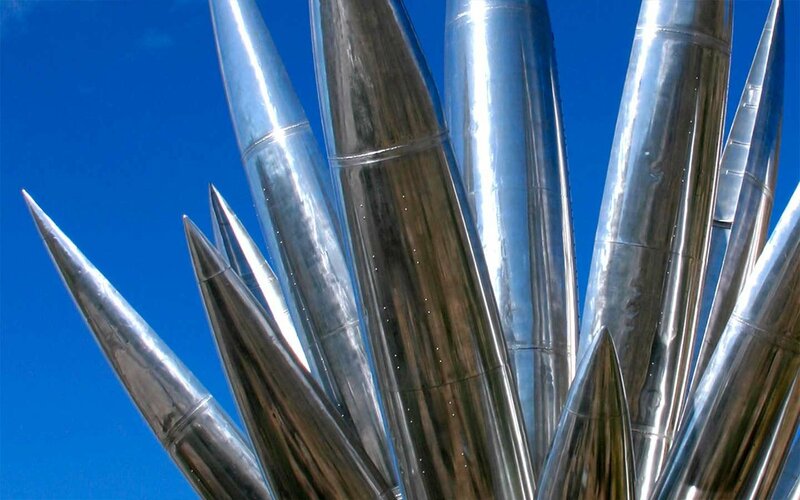 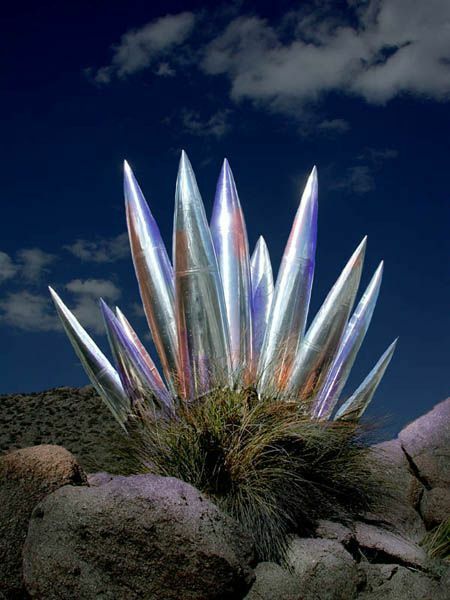 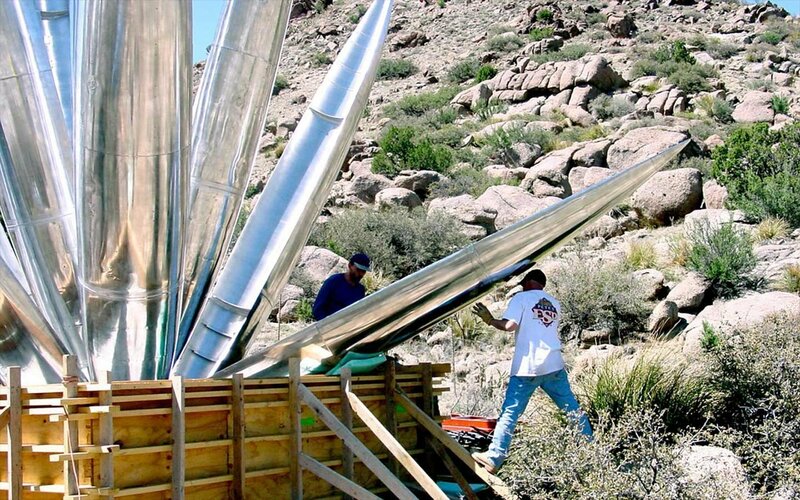 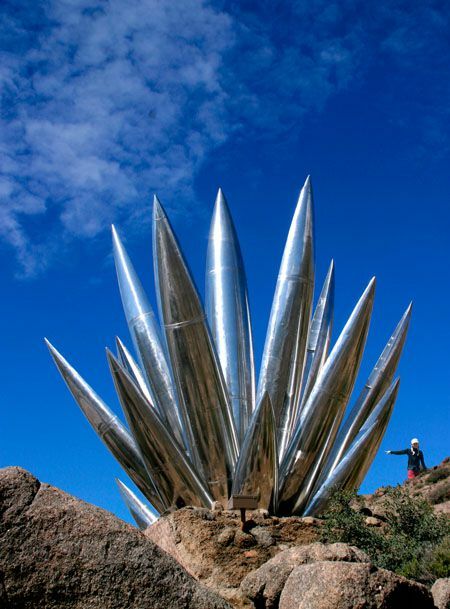 Aluminum Yucca was made from salvaged hollow aluminum fuel tanks from F-16 military aircraft. 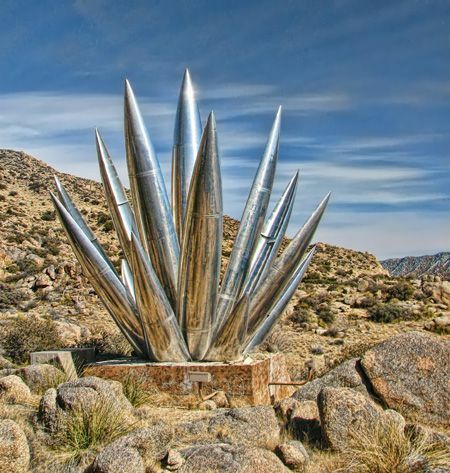 The hollow forms were sliced vertically to resemble the scooped shape of the Datil Yucca leaf, which is native to the area. 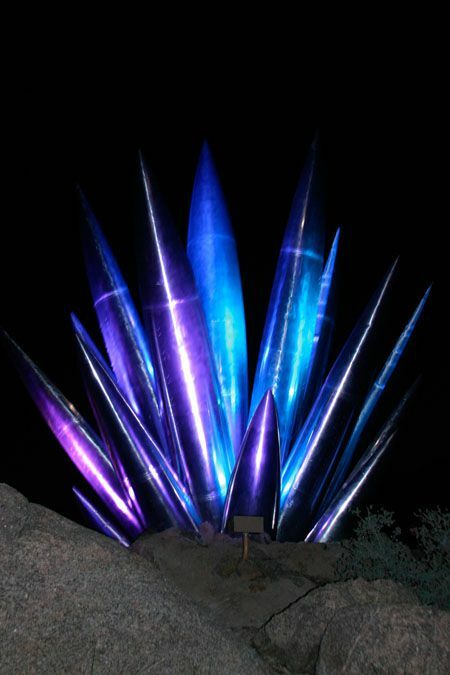 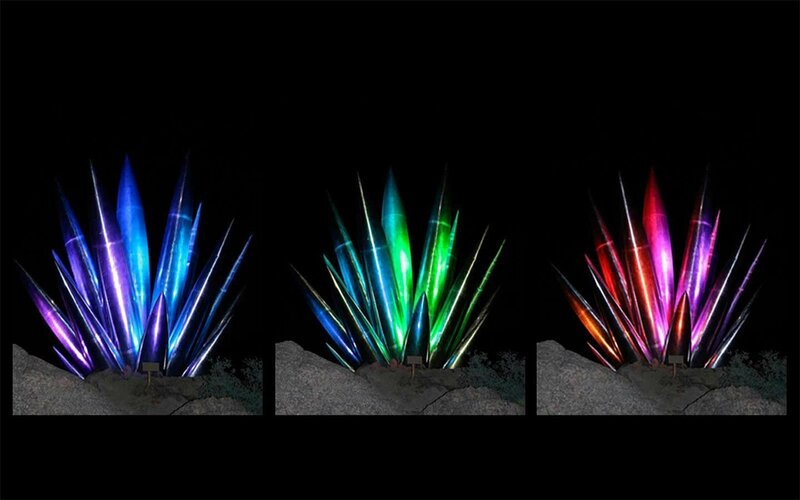 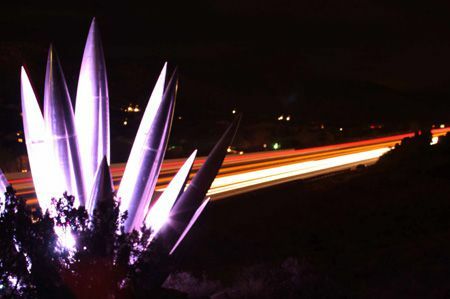 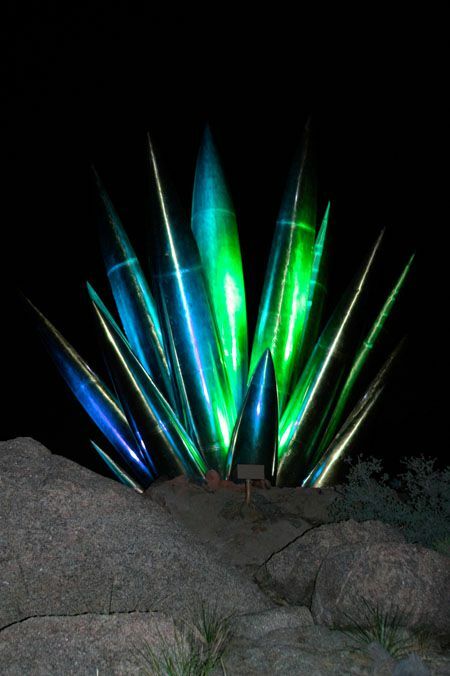 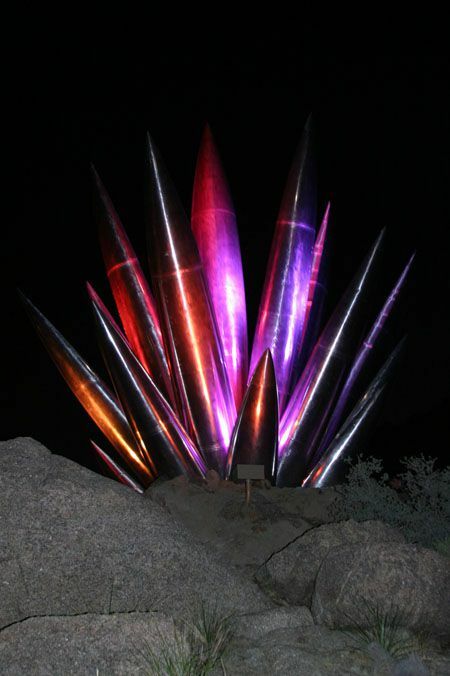 At night, the sculpture is illuminated by a slow-moving, solar-powered color wheel that recreates the hues of the Albuquerque desert landscape. 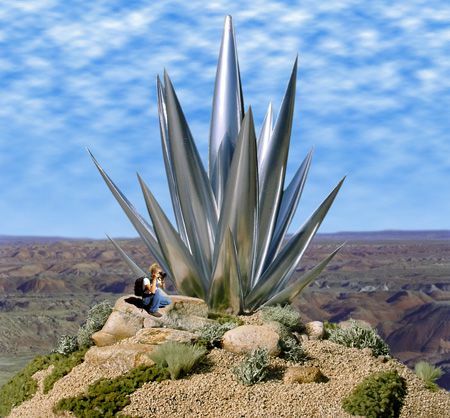 The exaggerated scale celebrates the romance and nostalgia of western Road Culture in the 20th century – evident all along Route 66 in wigwam-shaped hotels, five-foot Mexican sombreros and giant cowboy boots. 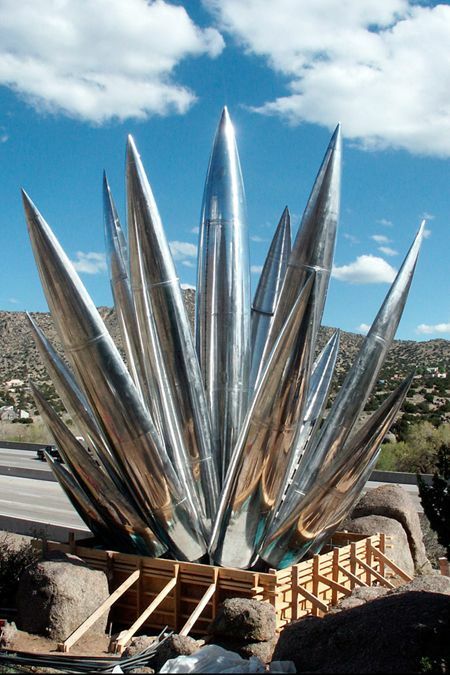 It is located on I-40 in Tijeras Canyon, Route 66 gateway to Albuquerque.